Informed buyers utilize the 4 C’s of diamond selection: cut, color, clarity, and carat weigh. In addition to the 4 C's, many buyers wisely obtain a diamond dossier, i.e. the opinion of an expert on the quality of the stone they are considering. Here at Diamond Financial Group, we are pleased to offer our own Diamond DossierService. The subject matter is not precious stones but something of far greater value, your financial future. Our Diamond Dossier service is a comprehensive review of your existing financial situation using not 4 but 5 C's to help assure that all your needs are addressed. The first step to our Diamond Dossier service is a complimentary consultation where our professionals listen to you to learn about your dreams, your goals, your current financial situation and your personal risk tolerance. Diamond Financial Group and our 5 C’s are here to help guide you through the process of creating customized comprehensive financial strategies that you can be confident in for years to come. Contact us today to schedule your Diamond Dossier. Let us help you turn your diamond in the rough into one of unsurpassed clarity and beauty to last a lifetime and beyond. 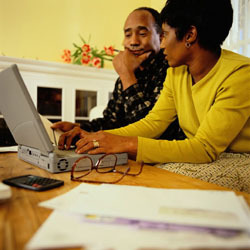 We're looking forward to using our expertise to help you better secure your financial future. Contact us today on the web or by phone at 931-260-5570. You'll be surprised at how easy it can be to customize and implement your personal or business financial goal. Don't delay. Contact us today!